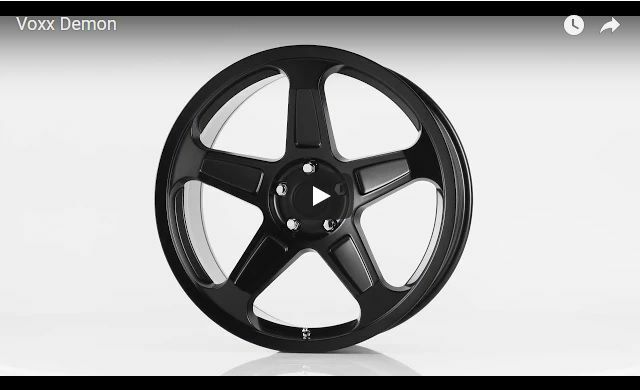 Introducing the Replica Wheels DEMON by Voxx! 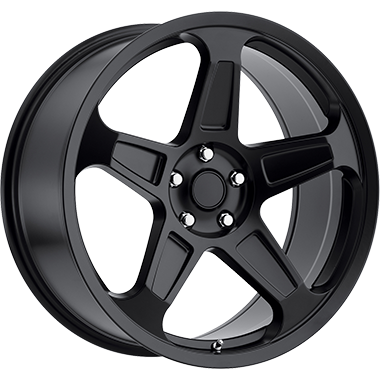 Specifically designed for Dodge & Chrysler applications, Replica Wheels DEMON is available now in matte black in sizes: 20x9 ET+20, 20x10.5 ET+25, and 22x9 ET+20 Replica Wheels DEMON fits O.E. Cap Part #: 0489-5900-AA and clears factory 6-pot Brembo Brakes! 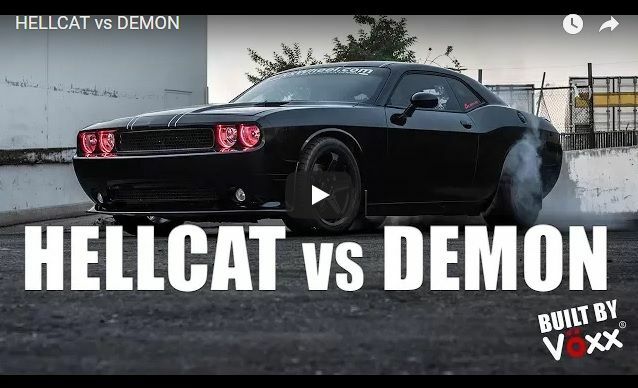 See the links below for Replica Wheel Demon Availability & Pricing through Discount Tire Direct! Last edited by Discount Tire; 02-13-2018 at 08:30 AM. That would be sweet, but 20-inch only at this time. The 22-inch version will be available early next year. If anything changes in that regard we'll post up. How about the wide body hellcat wheels? Last edited by Ohgeez; 02-04-2018 at 05:22 PM. When my stock 2016 Hellcat tires are used up, will my local Discount Tire be able to upgrade the wheels to something like these 20x10 / 20x10.5 , along with Mickey Thompsons, or Nitto wheels and have them fit/not rub? I know there is an offset that is used, but I don't know enough and I will need help. The site doesn't make it easy to find tires for those rims -- what do you suggest? Was never a fan of the Demon wheels. Look cheap to me. How about the wide body hellcat wheels? I think the Demon wheel looks pretty sharp but to each their own. The wheel in your picture looks good too! I hadn't seen that style till now - thank you for sharing. I'll see if any manufacturers are offering something similar and will report back. Do you know the specs by chance? In the rear, absolutely. We just don't recommend going wider than 305mm with the tires or fender modifications may be needed. Our apologies for the troubles! 275/35R-20 front axle tires paired with 305/35R-20 rear axle tires are a good choice. Last edited by Discount Tire; 11-10-2017 at 01:55 PM. "The wider fenders house the new 20 x 11.0 front and rear “Devil’s Rim” split five spoke aluminum alloy custom wheels that have 305/35 ZR20 Pirelli P-Zero tires"
Grabbed this off of another site. voxx has these and so does factory reproductions. factory reproductions includes gorilla lug nuts. will you folks as well? and do you have more than one color?